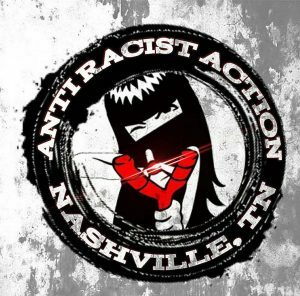 Nashville Anti Racist Action about the upcoming American Renaissance Conference in Burns, Tennessee from July 28th to 30th, 2017. AmRen, as it’s called, is a yearly conference that sprange from Jared Taylor’s suit and tie nazi thinktank journal by the same title and is being held on state land in Tennessee and anti-racists plan to make the “white identitarians” uncomfortable to say the least. For the hour we talk about anti-racist organizing in the South, about the upcoming “Unite The Right” convergence in Charlottesville, Virginia and more. Here’s the fedbook page for Nashville ARA, and here’s another state-wide coalition in Tennessee, TARN. As an aside, big ups to the crowds that overwhelmed the KKK in Charlottesville on July 8th. The Klan had to be escorted by State Police to even escape the throngs of counter-demonstrators. NPR reports 50 Klan showed up, over 1,000 counter protesters and 23 anti-racists arrested, other reports include word of police brutalizations and felony charges. Here’s a fundraising page for those arrested. One resource we would like to point folks to if they’re seeking to get involved with anti-racist and antifa groups over the internet, considering the honeypot and disinformation tactics being taken by the far right is Antifa checker, which vets social media sites for antifa and ARA groups and has social media presences on twitter, facebook and more. Here’s an article about last year’s AmRen with a history of Jared Taylor and other organizers behind NPI, AmRen, Paleo-Conservatism, “Racial Realism,” “Identitarianism,” “Racialist,” Sam Dickson and more buncombe. For an interview from 2012 with Daryl Lamont Jenkins on AmRen & a lot of these topics, check out our archives. 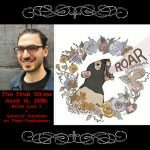 If you wanna learn more about your hosts, get a blow by blow of the anarchist radio conference that happened in Greece earlier this year, and hear some A++ trolling, you can hear an interview that we did with members of the anarchist, anti authoritarian news platform It’s Going Down! You can hear this interview in alls it’s glory by going to http://itsgoingdown.org and searching “From LaZAD with Love“. Tell us what you think by writing to us at thefinalstrawradio@riseup.net! More information can be had at crimethinc.com. July 20th, at Firestorm in Asheville, there will be a free showing of TROUBLE #4, from subMedia, about repression and movement building as well as #2 of Channel (A)!, a collection of anarchist representations in popular media. This starts at 6:30pm. On July 25th at the Nightlight in Chapel Hill, NC, at 9pm there’ll be benefit concert for the J20 defendants. Bands include: Institute, Drugecharge, Decoy & Dead On The Vine. From Denver, there’s a call out for fundraising for folks who caught charges counter-demonstrating the Islamophobic antics of “ACT for America” last month. They have some quite humorous shirts, particularly for our insurrectionary herbalists of the Laurel Luddite variety, as a fundraiser on a fundly page. Prisoners located in Lovelady, Texas, have filed their § 1983 Federal Civil Complaint in the Eastern District of Texas – Lufkin Division. TDCJ has the largest state prison system in the United States. Most of the 110 prison units are not air conditioned, and toxic water supplies are becoming a pervasive and systemic problem. At Eastham Unit, multiple prisoners have been diagnosed with h. pylori disease from the water. Due to the Heat Index, especially in the summer, prisoners must drink this contaminated water that’s causing h. pylori. The prison store known as the commissary sells us “hot pots” which heat water but don’t boil it. If we alter our Hot Pots in order to make them boil, they get confiscated and we are given a disciplinary case for contraband. This issue raises 8th Amendment concerns, and the US Supreme Court has held that unsafe conditions that pose an unreasonable risk of serious dangers to a prisoner’s future health. Several prisoners have been diagnosed with h. pylori disease which destroys the lining of the stomach. There is no known cure. For those of you who don’t know, Bryan Collier is the Executive Director of the Texas Department of Criminal Justice (TDCJ). “Houston Anarchist Black Cross will host a one-day convergence to network, grow, and celebrate anarchist and anti-authoritarian projects in Texas and the surrounding region, and we need help to make it happen! This gathering will be entirely free as part of our commitment to accessibility, and because of this we need lots of help with funding from those who can support us. The event itself will be free, we will be providing lots of services at the bookfair for free with the help of volunteers, it is free to table or present a workshop, and we want to be able to help as many folks from out of town as possible with their travel expenses and housing needs. This event will have books, publishers, distros, zinesters, exciting workshops, and discussion to celebrate and expand our southern radical communities of resistance! Money raised will go towards booking and renting our space, bringing people in from out of town, feeding people who attend the bookfair, buying supplies to set up the space, and funding accessibility for the space. If you’re planning on coming to the bookfair, or coming to table or present a workshop, or are generally excited about this radical southern space happening, and you can help us raise the funds to make this event happen and keep it free, we need your help! This’ll be the first anarchist bookfair in Houston since 2011! If you’d like to participate in the bookfair more directly, they’ve opened up the submissions period for vendors and presenters, and they’ve put up a page for reaching out if you have housing or accessibility needs for the bookfair. Those links and more can be found at the events website, https://houstonanarchistbookfair2017.wordpress.com or reach the organizers at htxanarchistbookfair2017@gmail.com! This weeks show features a conversation with activist, blogger and anti-fascist, Daryle Lamont Jenkins. Mr. Jenkins is a co-founder of the extreme-right-watch website, OnePeoplesProject.com, based out of Philadelphia. Our conversation covers: the upcoming convergence of American Renaissance in the Nashville, TN area in mid-march; links between white supremacists and the Libertarian movement in the U.S. and in particular the recent (deja vu) linking of Ron Paul supporters and white nationalism by Anonymous; and a discussion on Paleoconservatism and Paleolibertarianism.